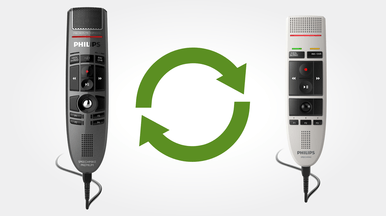 The SpeechMike Premium takes dictation to a new level. 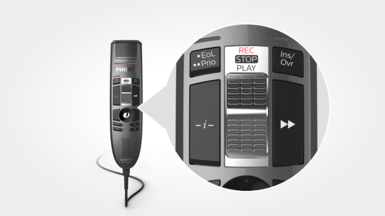 May it be the free-floating studio quality Precision Microphone, a microphone grille with optimized structure, built-in noise-reduction pop filter, antimicrobial surface or the motion sensor – the SpeechMike Premium sets the new standard. 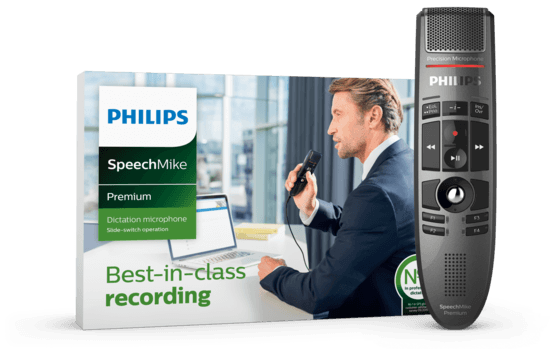 The microphone in the new SpeechMike Premium is decoupled from its housing for the most incredible crystal clear recording performance ever to be delivered by a desktop dictation device. 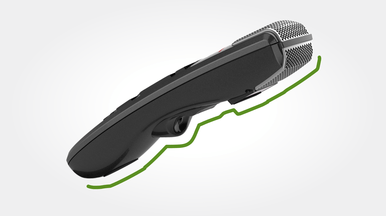 The completely redesignedmicrophone suspension guarantees that almost no background, touch, click, air or structure-borne noise is recorded. 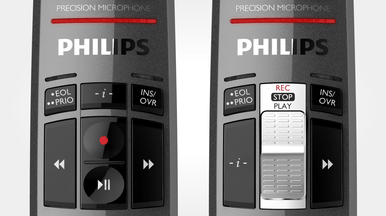 This technique is derived from studio microphones to make sure there are no sound distortions whatsoever – and to guarantee outstanding speech recognition results. 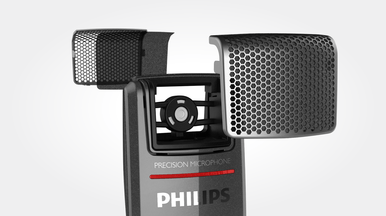 A well-engineered microphone grille is able to make a high-end microphoneas in the new SpeechMike Premium stand out even more. The hexagonalholes used for the metal grille feature three times more open surface than itspredecessor, engineered to provide crystal clear recordings. 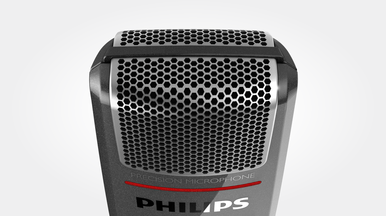 The microphone area of the SpeechMike Premium is made of many differentlayers to make it sound as clear and original as possible. 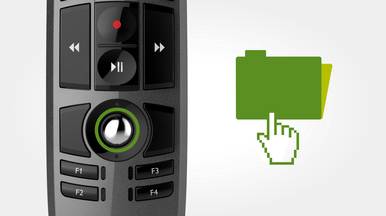 One of those is a fleece inserted above and below the microphone capsule. The fleece filters out sound distortions such as pop and hiss noise, guaranteeing perfect results even if dictating closely into the microphone. 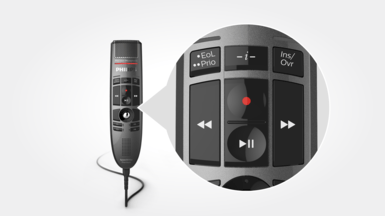 Compared to its predecessor, the SpeechMike Premium is equipped with adouble sized-speaker area that enables it to play back recordings in clear andcrisp quality. 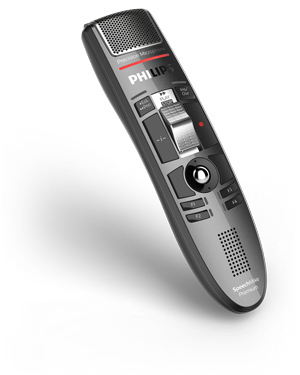 The Philips SpeechMike Premium is the most advanced dictation microphoneto date – and to give the user even more room to personalize their devices,Philips has added an instruction key at the top of the control panel – of coursefully and freely user configurable, especially useful for programming speechrecognition commands. 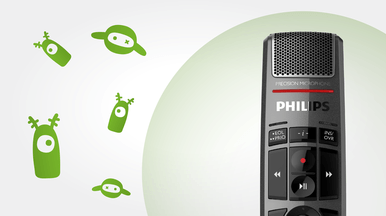 The SpeechMike Premium’s housing and buttons are made of antimicrobialsynthetics, guarding it against all kinds of germs. Antimicrobial materialswork against a wide range of different microorganisms such as bacteria(e.g. pneumococcal bacilli and multiresistant microorganisms such as MRSA),viruses (e.g. HIV, influenza, etc. ), fungi (e.g. Aspergillus niger), or algae. 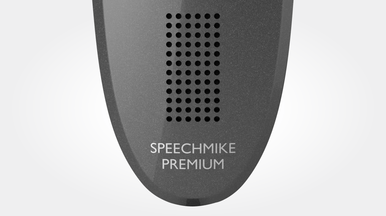 Theantimicrobial effect on the SpeechMike Premium lasts for at least five years.